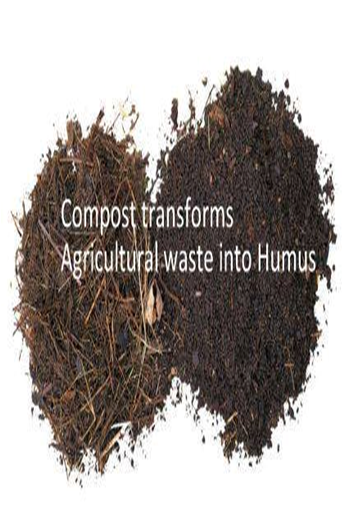 What is COMPOST & Why we need it: The process of transforming organic materials of plant or animal origin into high value organic manure is called COMPOST. It is a symbol of continuing life. We need COMPOST, because, it is a Great Recycler - Builds Soils Structure – Holds Moisture - Stops Soil Erosion – Improves Aeration in the Soil - Provide nutrients when plants need them – Attracts soil Organisms & Minerals – Neutralize Toxins – Helps plants overcome Soil pH levels (acidic or alkaline) – Stimulates plant growth. 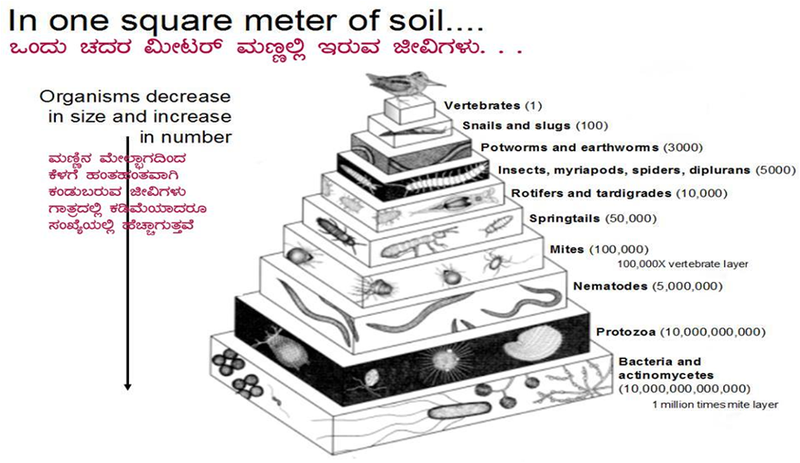 Who makes COMPOST: The micro organisms living in the soils, also called as decomposers living in the soil makes COMPOST. Mites – Millipedes – Centipedes – Bugs – Snails & Slugs – Spiders – Spring tails – Beetles – Ants – Flies – Nematodes – Earthworms are certain Decomposers, who can be seen with bare eye. Some of the decomposers can be seen only through Microscope and they are Bacteria – Fungi – Actinomycetes – Protozoas etc. Each one of these beneficial organisms has a role in breaking down raw organic matter into finished COMPOST. Materials required for making COMPOST: Dry organic matters like paddy straw – dried leaves from trees & plants - post harvest residues - saw dust etc. 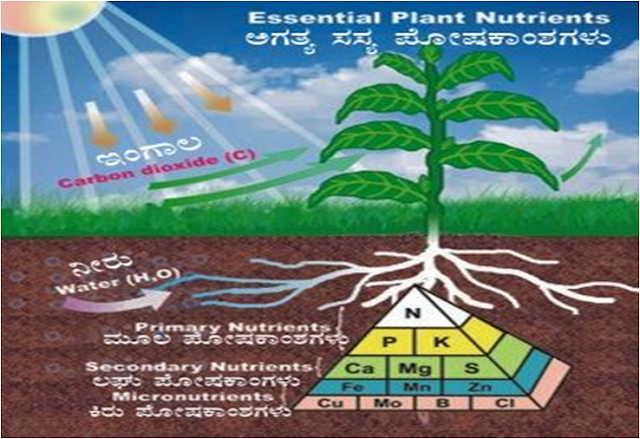 These have carbon element, which are good food for soil microorganisms. Green or raw organic matters such as cow dung, dropping of small birds, fresh leaves, weeds, vegetable and fruit skins etc. These have more nitrogen element, which is also an important food for micro – organisms. Along with these, Water - Cow dung – Ash - Lime powder are the important materials required for making COMPOST. Host a quarter of our planet’s biodiversity. Under our feet, there is information superhighway that allows plants to communicate and help each other out . . . It is made of fungi . The site for making a compost should have little shade, hence under a tree (not too close to the tree is advisable). The Size of the site where compost is prepared should be 3 ft. width, 3 ft. length and 3 ft height. Mark the site and clear it by removing whatever weeds, roots and plant waste that are there. Then collect coconut, bricks or any other material within the marked site. Then make a base. This is called as tunneling for aeration. Then apply cow dung as a starter for decomposing the materials used. Drench dry matter in water or add water to the scattered dry matter in the compost site. This thickness of the dry matter should be approximately 5 inches from the ground. Add cow dung slurry mix on the drenched dry matter. Add all the green matter onto the slurry. The thickness of the green matter should be approximately 3 inches above the dry matter. Apply a small amount of lime powder (like adding pepper and salt on egg omelets). This is considered as one layer of compost. Then plaster it with wet soil so that the heat generated inside will not escape. Then again apply more drenched dry matters, cow dung slurry, green matters and lime on them and plaster it. Like this, the compost should be manufactured and it should not reach above 6 ft. (All these depend on the collected materials). After one month, make 2 holes on the top surface of the compost heap and add water to accelerate the process. If these steps are followed, the compost will be ready within 3 months. How to know COMPOST is ready for use: No HEAT in the COMPOST pile - No ROTTEN/ BAD smell – No original form of the materials can be seed – Dark Colour. Before starting to make compost, ensure that all the materials collected should be cut into small pieces and the the dry matter should be drenched in water. - Put the dry matter on the compost site & it should be approximately 5 inches from the ground. - Add cow dung slurry mix on the drenched dry matter. - Add all the green matter onto the slurry. The thickness of the green matter should be approximately 3 inches above the dry matter.